We are almost to the halfway point of our ridiculously early Indiana summer break – we’ve been on vacation (hello, Florida!) and the kids are finishing week three of assorted daycamps. VBS has also come and gone. The fox turned NINE yesterday, and I finally got to let the cat out of the bag that WE ARE GOING TO SEE HAMILTON IN JULY and I am so so happy about that. Many of our school routines have gone out the window- there’s tv before supper, there’s hardly any showering because SWIMMING, and in general, we are lying about like sloths every chance we get. One constant we are keeping is attending Goldfish Swim School. MaM has just a few weeks left on the swim team before she ages out. The fox is working diligently on his breaststroke like it’s his job. As much as they’re swimming nearly every day at camp, they are mostly splashing around with friends in a free swim situation. Last summer I didn’t ever get around to signing them up for lessons. I knew they could use some refreshing on technique, but suddenly I blinked and it was mid-July. I couldn’t pick a day of the week for weekly lessons, because each week was slightly different, and well, I was the picture of indecisiveness. 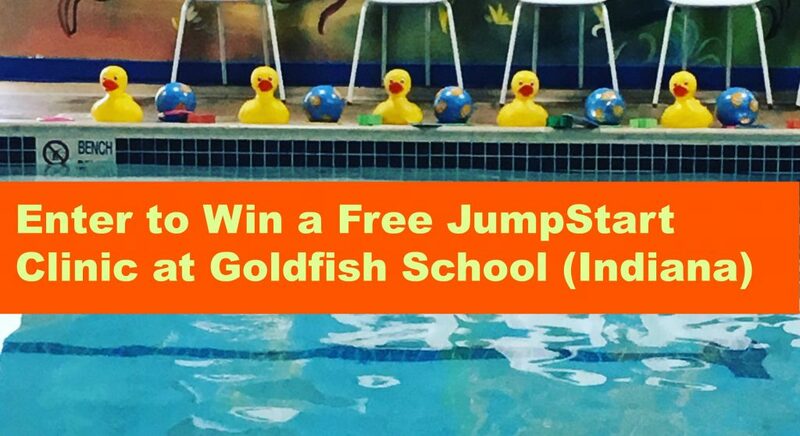 I WISH I HAD KNOWN ABOUT GOLDFISH SWIM SCHOOL’S JUMP START CLINICS. From now through the end of July, Goldfish locations in Fishers and Carmel are offering weekly clinics – pick one week, one time slot and get five :30 lessons out of the way. Instead of once a week for a month, go every day for a week. How convenient is that? And since these are indoor facilities, summer storms won’t rain out your lessons (we’ve had that happen), and the water is always a comfortable 90 degrees, so half of the lesson isn’t spent coercing teeny tiny kids into freezing water (we’ve also had that happen). Are you ready to try a Jump Start clinic* for your child? Enter below to win one free Jump Start clinic at either their Fishers or Carmel, Indiana location and spread the word for more entries! *the prize is one jump start clinic at either the Fishers or Carmel location during July 2017- be sure you’ve got a week to do this, please! One of the best things about our new neighborhood is the pool. From Memorial Day to Labor Day, we can swim to our heart’s content at this beautiful pool, staffed with competent lifeguards. It won’t lie- it is DREAMY. But, Indiana. This winter the Kahuna Kids will be swimming at the Fishers Goldfish Swim School, and I am so excited for them! 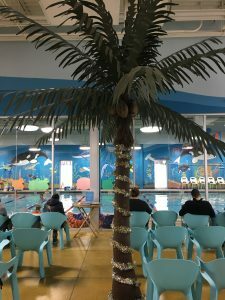 Goldfish Swim School has two Indy metro area locations – one on the east side of Fishers and one in Carmel. Classes are offered every day of the week for the very young through 12 years old. While the Fox was ready to jump in with both feet, Mam was feeling a little self conscious. She was clearly the oldest person in her class, and due to my underestimating her swimming ability, she wasn’t even in the highest class they offer. Oops. What I appreciated though, was at her very first lesson, she received a progress card indicating she’d mastered everything she needed to move up to the “Pros” class- which is the last level before swim team. As we scheduled her into the new level, the staff was sensitive to the fact that she wanted to be a group with older kids. Thinking about Swim lessons this winter? Check out Goldfish! 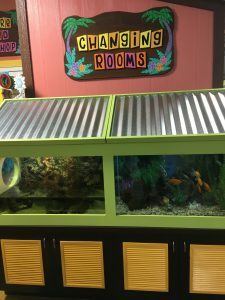 Their classes are ongoing, and kids can join in at anytime. You can even wrap a new beach towel and some goggles and stick them under the tree- with the real gift being a winter’s worth of swimming lessons. 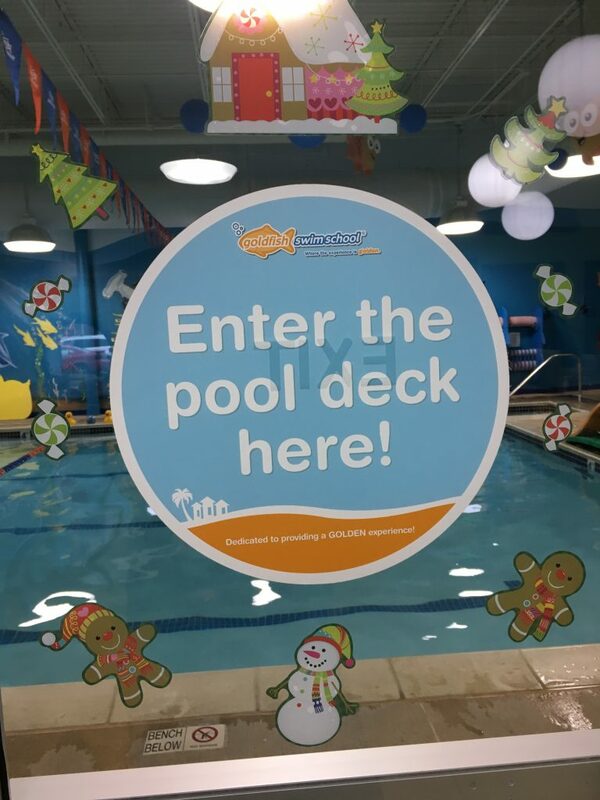 Hop on over to Goldfish Swim School and take look at their special holiday offer! Watch Water Critters while you wait. 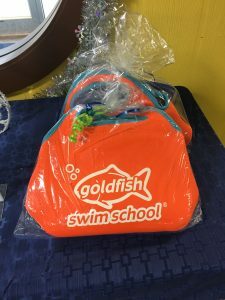 Disclosure: Thanks to Goldfish Swim School for partnering with us this winter to build my summer swimmers over this winter in exchange for my honest review of their programs! They’re up! They’re amazing (that’s my unbiased opinion). Sit down by yourself or with your daughter or with your BFF or with your own mom or your favorite mom crush and enjoy. I’m sharing the whole playlist here (mine’s first- convenient, eh? )- and if it leaves you wanting more, head over to the Listen to Your Mother You Tube Channel. There were playlists for every show this year, and actually, playlists for every show since the inception of Ann Imig’s creation in 2010. Videos aren’t your thing? 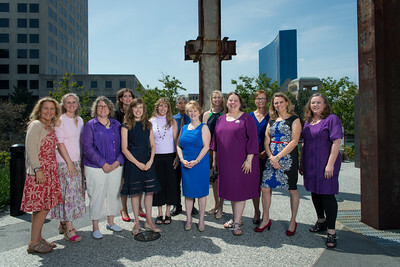 View the text of my reading, Real Moms.